What Are Net Carbs? When is a carbohydrate not a carbohydrate? When you determine the number of net carbohydrates that a particular food has, you find out that not all carbs are created equal. Simple carbohydrates found in refined sugar, baked goods and processed foods don’t offer much in the way of nutrition. Those extra carbs get processed and stored as fat, which raise your risk of obesity, neurological disorders, heart diseases and other health problems. Determine how many carbohydrates a portion of food contains. Do the same with fiber. Subtract the amount of fiber from the amount of carbohydrates, and the remaining number is your net carbs. Let’s take a real world example. One cup of chopped, cooked broccoli delivers around 11 grams (g) of carbohydrates. It also offers roughly 5 g of healthy dietary fiber. Subtract 5 from 11, and you get 6. This means that one cup of broccoli delivers just 6 net carbs. Low carb diets usually aim to keep your daily carbohydrate intake below 50 to 75 g of net carbs. 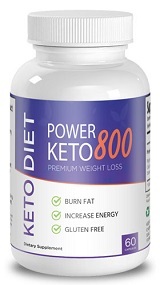 This helps keep your body in a state which is called ketosis. This leads to a healthy body weight regulation, and other health benefits. The next time you are preparing a meal or shopping for groceries, use the simple net carbohydrate formula to determine the actual carb count of any food. You will find that natural foods are generally high in fiber and low in carbohydrates, which automatically leads to an attractive net carb number. Processed foods, foods with a lot of sugar, wheat and flour, and fast foods tend to be loaded with simple carbohydrates and very little to no fiber, so they deliver high net carbohydrate scores. Modern food processing began decades ago. It unfortunately led to foods with a lot of simple carbohydrates, lower nutritional values, and very little dietary fiber. Doctors agree that 70%, or even more, of all disease begins in your gut. Getting enough dietary fiber is important to keep your digestive tract working properly, and fending off that disease. Eating too many carbohydrates and not enough fiber is a recipe for sickness. The simple formula which lets you know how many net carbs and food has makes sure you keep both your carbohydrate and fiber intake at healthy levels. Cutting out carbs when eating at home is hard enough, but it becomes even harder when eating out. However, it is possible to eat in a restaurant, have a good meal and not bust your low-carb diet. Here are some favorite tips used by people trying to limit carb intake. People get into trouble carb-wise because they don’t decide ahead of time what they are going to order. When pressed for time, most people will make a snap decision that may or may not be the best decision when it comes to carbs. Most eating establishments, as least the franchised chains, have menus posted on the web. If you know where you are going to eat, look at the menu beforehand and decide on something that falls into your carb limit. Some restaurants make choices easier than others. Ones that offer entrees separately, such as salad bars or buffets are the easiest. Choosing a steak with a salad on the side a good choice. Look for meats that are not breaded and grilled rather than cooked in a skillet in oil or deep-fried. Salad is always a good choice, whether it be at a salad bar or not. But be sure to ask for the dressing on the side as the dressing alone can sky-rocket the carbs. Some salads are meals in themselves. Be sure the meat is not fried, such as a grilled chicken breast. If you can’t find a meat on a salad that you like or it doesn’t come with meat, order the grilled meat separately and cut it up yourself and put on the salad. Many restaurants offer breakfast all day. An omelet with fresh vegetables, such as spinach, mushrooms or peppers, makes a great lunch or dinner. Add a side of fresh fruit and you have a carb-friendly meal. Eating at a fast food place can be challenging as their low-carb offerings are usually limited. However with some creative substitution, it can be done. For example, instead of having French fries, ask to substitute a small side salad or fresh fruit, even if you have to pay more. If substitution is not possible, order the salad as a separate item. Order a hamburger without a bun, or if it comes with a bun, set the bun aside and just eat the meat. Of course, stay away from anything deep-fried. Another trick when on low carb diet is to order a kid’s meal. Many times the portions are smaller and it may even have a fruit like apple slices that comes with it. Order a small salad with it and enjoy! Instead of ordering a dessert of your own, try splitting a dessert with your meal mate. Most places will be happy to bring an extra plate. If you are by yourself, then decide you’ll eat less than half. Eating out doesn’t have to be a minefield when on a low-carb diet. Planning ahead and making smart choices and substitutions are the key to guilt-free, low-carb eating out. Enjoy! Can You Be a Low Carb Vegan or Vegetarian? This is a valid question because most low carb diets rely heavily on higher fat content like the type usually found in animal products, in particular meat, fish, eggs and dairy. And while many vegetarians eat the latter two, vegans and some vegetarians do not eat any animal products period. So how do plant-based dieters get enough fat in their diet? Many meats are high in saturated fat which in high quantities has been shown to increase the risk of heart disease. Unsaturated, both mono and polyunsaturated, are healthy fats and have been found to help lower LDL cholesterol and decrease the risk of heart disease. Trans fats are a manufactured fat and should be avoided or at least minimized at all costs. Because it is not natural, the body doesn’t quite know what to do with it and ends up storing it as fat. Vegetarians who eat eggs and dairy products have it easier because these two products (without any added sugar in dairy products) are generally low in carbs, but high in fat and protein. Plus, they provide all of the B12 necessary for good health – something harder to find naturally in the plant world. Vegans on the other hand usually have to use a supplement to get enough B12. How Many Carbs Should You Consume On A Low Carb Diet? It depends on your goal. For vegetarians that exercise a lot and are just trying to maintain their weight, around 100 to 150 grams per day is sufficient. However, if their goal is to lose weight, then dropping that range down to 50 to 100 grams per day should lead to weight loss. For even quicker weight loss, but not sustainable over a long period of time, vegetarians can go as low as 20 to 50 grams per day for a short duration of time. Vegans should not go below the 100 to 150 grams per day limit. So to answer the question “Can You Be a Low Carb Vegan or Vegetarian?”, the answer is yes. By selecting foods that are low in carbs, but high in healthy fats and protein, select vegetarians and vegans can reap the benefits from a low carb diet and still stay healthy. Most people have heard about cauliflower “mashed potatoes”. Save 30 grams per cup by steaming or microwaving fresh or frozen cauliflower. Spray on a butter substitute, add some non-fat half-and-half milk, puree in a food processor and enjoy. Most people can’t tell them from the real thing. For this dish we are replacing pasta noodles with ones made from zucchini. Cut zucchinis into ¾-inch wide strips. Sprinkle on some Italian seasoning and bake on a non-stick cookie sheet for 20 minutes at 425 degrees F or until firm. Then just layer as you would regular noodles and bake normally, thus saving 36 grams of carbs per serving. This is super easy to do and can save you 30 grams of carbs per cup. Cut a spaghetti squash in half and remove the seeds. Place each half face-down on a plate with a ¼ cup of water. Cook in a microwave for 10 minutes or until soft to the touch. Once cool, scrap out the spaghetti strands and top with pasta sauce and grated parmesan cheese. Mix in a blender ½ cup of oatmeal and 1/4 cup of cottage cheese, two eggs, and a dash each of vanilla, cinnamon and nutmeg. Cook the batter as you would “normal” pancakes. They taste great and will save you 45 grams per pancake. When baking cakes, muffins or quick breads, use almond or coconut flour, or flax seed meal instead of white enriched flour. Use at a one-to-one replacement and save 3 grams of carbs per two tablespoons used. One non-dairy milk favored by many on low-carb diets is unsweetened almond or coconut milk. Use in recipes, on cereal or drink as you would regular milk. You’ll save about 3.5 grams of carbs per cup. One of the main culprits high in carbs is sugar. Regular granulated sugar has 4 grams of carbs per teaspoon. Using a natural sugar replacement, such as Stevia in the Raw®, doesn’t add any carbs as it is zero-calorie. Cutting carbs doesn’t mean giving up your favorite foods; it just means making some lower carb substitutes that make the foods guilt-free, but still taste good. Whether you are on a low-carb diet because you want to be or you have to be, substituting high carb foods for something with fewer carbs is relatively easy. While a few grams of carbs here and there by themselves may not seem like much, when added up throughout the day, the savings can be substantial. In the case of meats, breading and the way it is cooked increases the calorie count. Take chicken breast for example. Save 15 grams of carbs by grilling without breading. If you want to add some flavor to it, opt for a low-calorie rub. Instead of drinking apple juice, cut up an apple and eat the slices. Not only will you get more nutrients from the skin and pulp, but you’ll shave off 13 grams of carbs. In most cases, stay away from dried fruit. Drying concentrates the sugars. Eating fresh is a better way to go for fewer calories. For example, a cup of fresh sliced plums has 18 grams of carbs where ¼ cup of dried plums has 30 grams – a savings of 12 grams. Mayonnaise, commonly found in potato salad and many pasta salads, add flavor, but also a lot of carbs. However, by substituting a spinach and vinegar salad for one made with mayonnaise, you’ll save 50 grams of carbs. Some grain products can be mis-leading. For example, a plain bagel may look healthy enough, but when made from enriched flour it can contain 65 grams of carbs. Choose one instead made from whole grain and save 41 grams. Another grain product that is misleading is granola. The base ingredient itself isn’t bad, but the added sugar and fruit pumps up the carbs to 70 grams per serving. Instead, substitute oatmeal for granola and save 42 grams of carbs. There is no denying nuts and seeds are good for you, but some are high in carbs like cashews at 11 grams. Walnuts have the lowest with 4 grams per serving, along with having the highest amount of heart-healthy omega 3. Nothing wraps up a meal like dessert, but many are laden with carbs. For example, a piece of cake with frosting can easily have 30 grams of carbs, but the same cake without frosting has half that at 15 grams. For a little sweetness without adding a lot of carbs, dust the top with a fine coating of powdered sugar. These are only six easy carb swaps. There are many, many more that can be found with a little research. Savvy low-carb eaters will easily search out suitable and in many cases more desirable substitutes. Regulating the number of carbohydrates you put into your body is important for a number of reasons. The carb-heavy diet enjoyed by most modernized nations is one that leads to a higher risk of a number of diseases and health conditions. When you keep your daily carb intake at a healthy level, you enjoy any number of health benefits. To fuel your workouts, you need a lot of protein. You don’t want to ingest that protein at the cost of too many carbohydrates, however. This is where complex carbohydrates with dietary fiber, some healthy fat as a fuel source and protein rich snacks with a low net carb count come into play. Enjoy the following 5 pre-workout snacks and you will keep your carb count down, and your healthy fitness results up. Choose a wrap which has a low net carb count. Stick to organic turkey whenever possible. Add vegetables and some coconut oil or avocado. This delivers plenty of healthy protein, just enough carbs, fiber rich vegetables and healthy fats for a perfect low carb, pre-workout snack. Save the second half of your turkey wrap for later in the day, or tomorrow’s workout. Choose eggs with no added hormones or antibiotics. A couple of hard-boiled eggs delivers plenty of healthy protein and a low carbohydrate count. Add a little guacamole for healthy fat. Choose organic chicken breast. Sauté or stir fry in 1 tablespoon of coconut oil. Dice and eat with some asparagus. Adding a Whey Protein Powder to a cup of oatmeal makes the perfect low carb, pre-workout snack. You get healthy dietary fiber and tons of protein. This is also a recommended snack if you have a sensitive stomach. This pre-workout snack qualifies as low in carbohydrates, and extremely high in healthy fats and protein. Make sure you limit the amount of walnuts or almonds you eat. Just 8 to 12 nuts is plenty, and complements the low carb salmon perfectly. Take your salmon steamed or grilled, and insist upon wild caught fish instead of farm raised. Previous Previous post: Can You Really Go On A Sustainable Cabbage Soup Diet? Whey vs. Hemp Protein: Which is Best for You?